If you are currently reading this article, it’s likely that you’re well aware of the cyrptocurrency hype. Among all the cryptos that exist, Bitcoin is at the top of the food chain, thanks to the immense increases in its value of late. Mining crypto coins too is big business and usually requires super computers equipped with powerful graphic cards that could intrigue the most enthusiastic gamers. However, not all cryptocurrencies require these resources; some can even be mined on an iPhone! So, in this post we will show you how to mine cryptocurrency on iPhone. Sometimes you can mind cryptocurrencies from iPhone and that’s why we thought you’d like to know about MobilerMiner application. Developed by Elias Limneos, the application is a CPU miner that works on ARM64 iDevices, and if the name sounds familiar, it should. Limneos is the person behind many popular jailbreak releaeses such as CallBar and others, and though his new development doesn’t require a jailbroken device to function, it’s not going to appear on the App Store Currently, MobileMiner can be downloaded from GitHub and installed on iPhone through Xcode. Another option is to sideload it with Cydia Impactor. 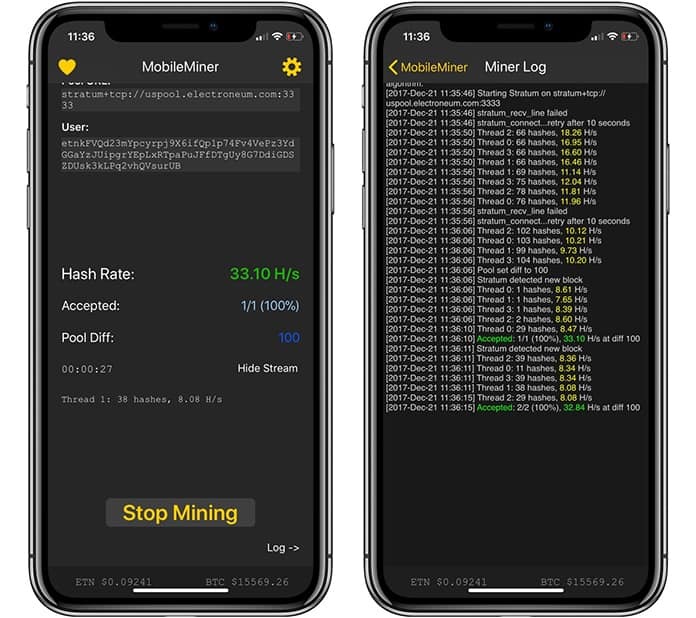 MobileMiner doesn’t require browsers, and as you might have figured, relies on iPhone’s powerful CPU for mining. Additionally, MobileMiner functions in the background and this could be a great way to mine around the clock without requiring PC, especially if you’re the owner of a Bionic-powered iPhone X that has A11 chip. Just make sure the battery charger is nearby. It’s evident that MobileMiner is a niche iOS app. Cyrpto mining isn’t for everyone, and not everyone looking to mine wants to do it from an iPhone. Moreover, this app may cause significant battery drainage, hence it may never be adopted on a massive scale. If you are into the idea, though, this is a decent and free way to mine cryptocurrency on iPhone. Maybe it’s the ideal way to put the high processing power of iPhone X to good use. Step 1: First, you need to download MobileMiner’s IPA file from our downloads section. 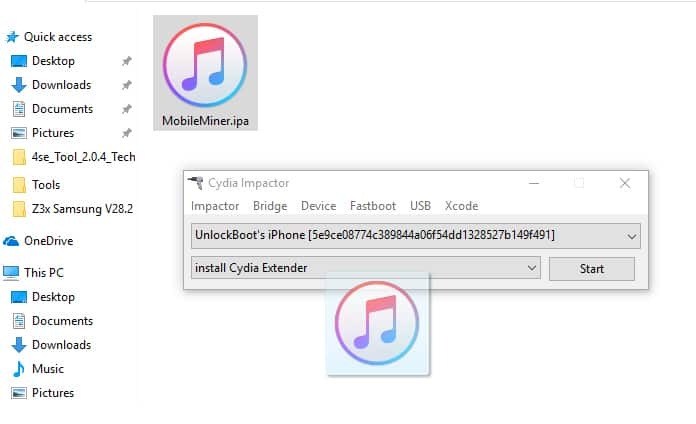 Step 2: Now you need to download and run Cydia Impactor on your PC or Mac. 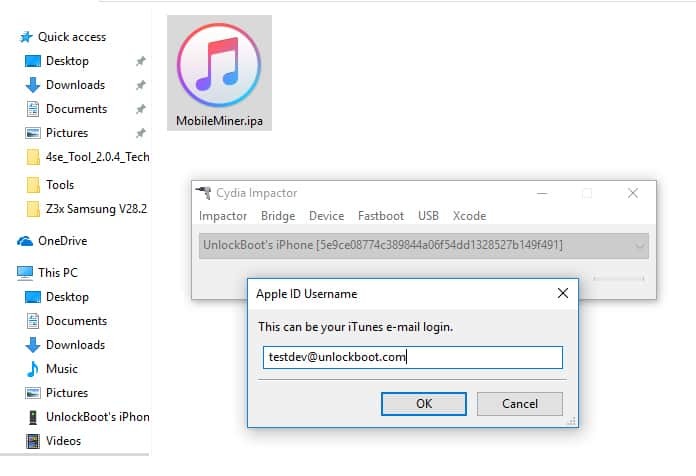 Step 3: Connect your iPhone to the PC/Mac and drag & drop the IPA file to the Impactor pane. Step 4: Enter your Apple account credentials and click OK. 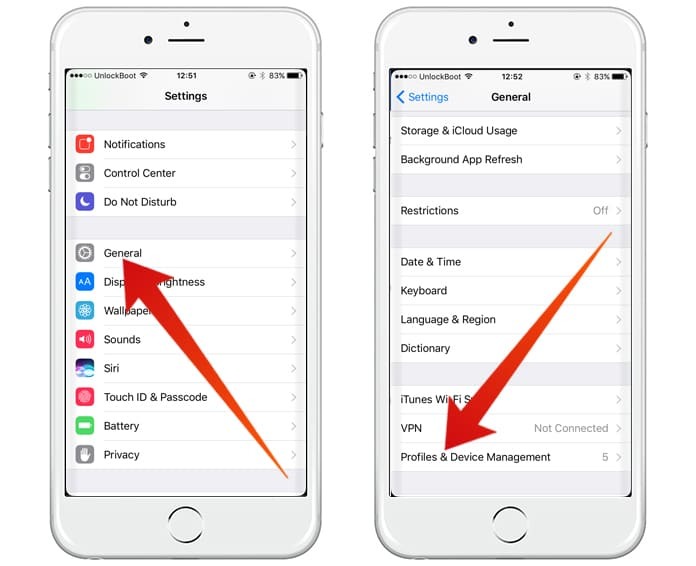 Step 5: After installation, go to Settings -> General -> Profiles and Device Management and trust the developer profile. 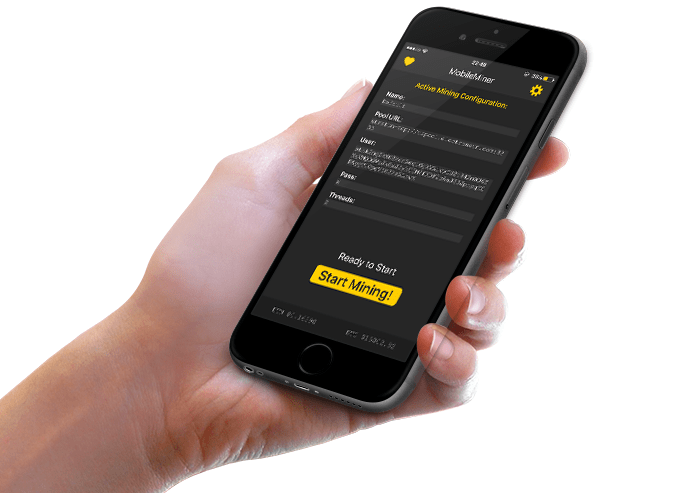 Now you can run the MobileMiner app on your iPhone and mine cryptocurrency on iPhone, iPad or iPod Touch.